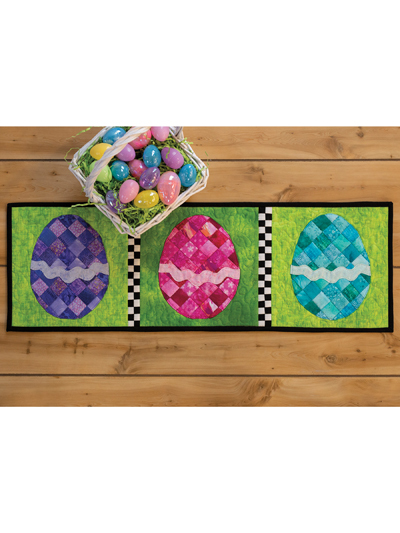 These eggs are too pretty to hide! 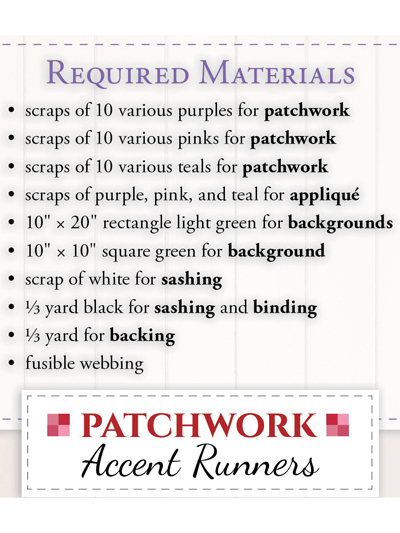 What better way to bring the spirit of each month into your home than with charming patchwork runners? Make sure you grab the other 11 to keep your table stylish all year round. Pattern from Shabby Fabrics. Finished size: 9 1/2" x 29 1/2".